ILLUMINUS is a nighttime festival where Boston’s artists, designers, performers, and creative technologists converge to showcase their most thoughtful, innovative, and imaginative works. 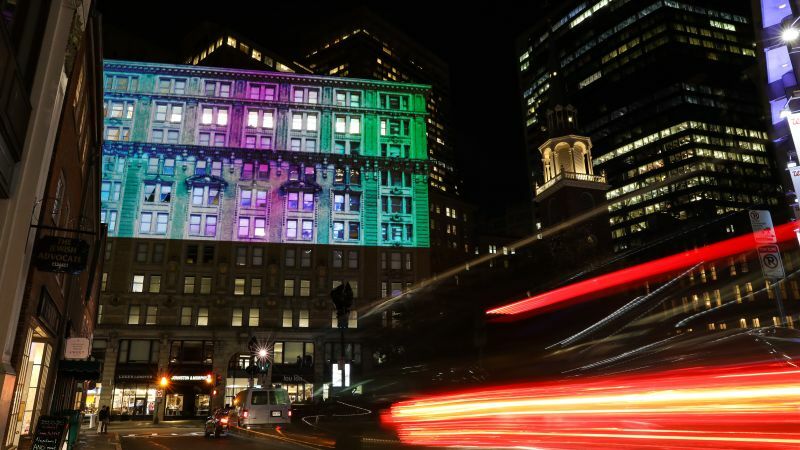 ILLUMINUS is continuing to partner with LuminArtz and the Downtown Boston Business Improvement District (BID) to present the festival throughout the downtown neighborhood on November 2nd and 3rd 2018. The ILLUMINUS Festival is Boston’s contribution to the global “Nuit Blanche” movement established in Paris and taking place in many cities around the world. Each year it has been held at a different location in the greater Boston area and is free to the public. Founded by Jeff Grantz in 2014, ILLUMINUS is a contemporary arts festival that takes place at night and features original installations, video projections and performances by artists who manipulate light and sound to create immersive experiences that turn city streets into an installation gallery. Created by and for the Boston community, the event has spent the last two years cultivating relationships with established and emerging artists each year. The first ILLUMINUS Festival took place in Boston’s SoWa Arts District at the now empty Power Station on Harrison Avenue. Featuring the work of 30 artists the first festival attracted nearly 10,000 people over the course of the evening. The festival grew considerably in 2015 featuring the work of over 40 artists and drew a staggering crowd of over 30,000 attendees, establishing ILLUMINUS as a premier emerging arts event in the city of Boston.